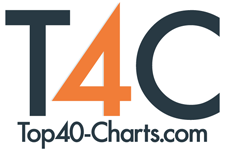 New York, NY (Top40 Charts / C.F. Martin & Co.) C.F. Martin & Co. (Martin Guitar) will offer two new black walnut guitars, a new Road Series guitar, and two additions to their ever-popular Monel strings line this summer at the 2018 Summer NAMM Show held in Nashville, Tenn., from June 28-30. The company will introduce to the U.S. the DE Black Walnut and the GPCE Black Walnut models as a refreshing and unique alternative tonewood to rosewood and mahogany; these models had been previously debuted at the Frankfurt Musikmesse in Germany in April. Martin will also introduce an affordable new Road Series model, the 000RSG. The long-awaited mandolin and banjo strings crafted with Monel will also make their U.S. debut in Nashville. Connect with Martin Guitars and Martin Strings on Facebook, Twitter, Tumblr, and YouTube and via http://www.martinguitar.com/. Live Releases 'Love Lounge,' Their First Single In Over A Decade! New Hope Club Reveal New Track "Medicine"
Bebe Rexha Releases Debut Album "Expectations"